We’re excited to announce our new course: Panel Clustering using Machine Learning. With the rise of Artificial Intelligence worldwide we have witnessed the creation of conversational chatbots, self-driving cars, and recommendation systems. AI is growing in its reputation among business leaders as an emerging asset to the workforce. It is activley being used in multiple industries, transforming the way businesses and societies operate. We’ve been looking into how Machine Learning can benefit the realm of architecture and construction and one of these areas is facade standardization and rationalization. This is what this course will be about. 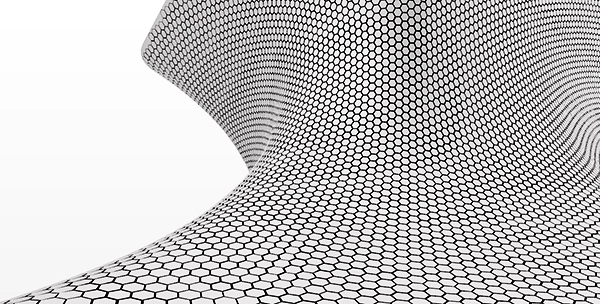 We’re going to design and rationalize the facade of the Soumaya Museum designed by FREE in Mexico City. Opened in 2011 and one of the most visited museums in Mexico. Gehry Technologies was in charge of the design-to-fabrication process regarding the facade panels and we’re going to look into some of the techniques they used to populate and standardize the panels. In the first part of the course, we’ll design the facade and populate it with panels. We’re going to use a variety of tools which include Lunchbox for the panel generation and Kangaroo, a physics engine plugin for Grasshopper, to populate the facade and standardize the panels. The second part and main part of the course will focus on clustering our panels using Machine Learning. We’ll first look at some example exercises to explain what clustering algorithm we’re going to use, how it works, and why we’ll use it. When we’ve understood the workflow and how the algorithm will cluster our dataset, we’ll move to our facade and extract the necessary information from our panels to feed into the algorithm. In the last part, we’ll analyze the various groups of panels created by the algorithm to see the variation of the panels. Based on that we’ll create a standardized panel per group and repopulate the facade. As the last step, we’ll analyze our standardized facade and optimize the distances between the panels. Wow great tutorial. Can’t wait.